Not all Automotive Technicians are qualified to perform a PPI, and not all PPI's are the same! Getting a partial or incomplete inspection increases your chances of existing problems missed or overlooked. Anything missed during the PPI becomes your problem after the purchase. Be aware: There are no standardizations for Technicians or inspection types when performing a PPI. Any Technician can say they perform a PPI, but only a few are qualified. We believe that a PPI should only be perform by Technicians that are certified on all 8 automotive areas, and are Body & Frame specialists. 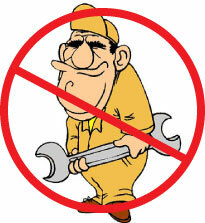 Most Automotive Technicians however, specialize on only on a few of the 8 general automotive areas. A PPI should be performed by a Technician that is certified on all 8 General Automotive Areas, which is an ASE Certified Master Technician. Only an ASE Master Certified Technician and Body & Frame Specialist is qualified to properly inspect EVERY mechanical, electrical, and frame systems. Don't just compare price, you must compare the qualifications of the Technicians and reputation of the company when looking for a PPI. Once you compared "apples to apples" and understand what is needed to get a professional pre-purchase inspection, our price of $149* is a great value. Yelp "5 Star" Ratings YES ? Google "5 Star" Ratings YES ? Over 18 Years Serving Used Car Buyers in Austin YES ? ASE Master Certified Technicians YES ? ASE Certified in Engine Repair/Diagnostics YES ? ASE Certified in Automatic Trans/Transaxle YES ? ASE Certified in Manual Drive Train and Axles YES ? ASE Certified in Suspension and Steering YES ? ASE Certified in Brakes and ABS Systems YES ? ASE Certified in Electrical/Electrical Systems YES ? ASE Certified in Heating and Air Conditioning YES ? ASE Certified in Engine Performance YES ? Trained Body & Frame Specialists YES ? Mobile service - Fully equipped vans with hydraulic lifts YES ? Computer Generated Report (paper and digital copies) YES ? Same Day Service or First Appointment Next Day YES ? Verbal consultation with Master Technician YES ? Factory Safety Recall Search and Texas Title Search YES ? Unbiased Service, No Repairs, No Conflict of Interest YES ? Valuable Used Car Buying Information YES ? A pre-purchase inspection must evaluate every mechanical, electrical, body & frame component.